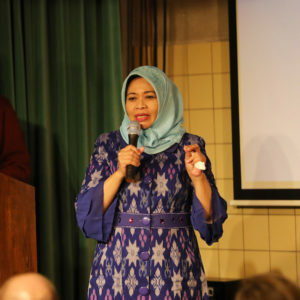 Do you have a innovative idea that could create positive change for gender equality? 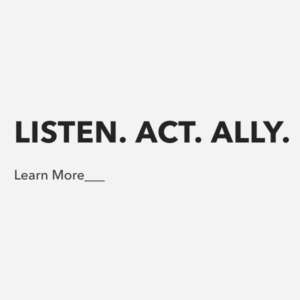 Are you a coder, activist, designer, product manager, data scientist, behavioral scientist, policy person, media maker or someone who cares about issues relating to gender equality? The genEquality Hackathon is for you. The genEquality Hackathon is an initiative to inspire and create innovative technology and tools that solve for problems that we care about. 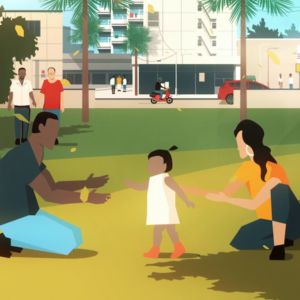 How can technology help us create social, behavioral, and practical change for gender equality? Let’s answer that question together. The genEquality Hackathon is open to participants and teams around the world. Through January 2019, diverse teams and participants everywhere will independently develop innovative ideas and smart, scalable solutions to serious problems. The genEquality Hackathon will conclude with a Showcase + Pitch Competition in New York City on January 26, where participants will have a chance to pitch and win up to $10,000 in seed funding to turn their idea into reality. 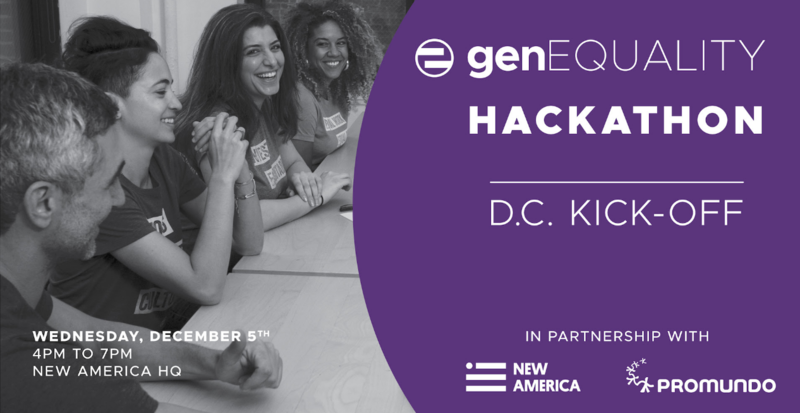 Join us on Wednesday, December 5 from 4:00 – 7:00pm at New America HQ to learn more about how you can get involved in the genEquality Hackathon. You’ll also hear inspiring speakers from New America and Promundo who will discuss the factors – both personal and structural – that lead to gender-based violence, including sexual harassment and discrimination. We’ll dive into data from the US and around the world, and discuss how all of us – as individuals, employers and employers, and citizens – can take concrete action to end violence and achieve gender equality.